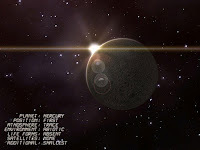 Hello friends today here I am going to write something about the Mercury Planet. As we all know that Planet Mercury is one of the innermost and one of the smallest planet in our Solar System and this planet use to orbit the sun once in every 87.969 Earth Days. If we see the orbit of the Mercury Planet than it has the highest eccentricity than the other planet of our solar system with the smallest axial tilt. Planet Mercury use to complete the three rotations about it’s axis for every two orbits. According to the Relativity Theory of Albert Einstein “Perihelion of the Mercury’s orbit pr ecesses around the Sun at an excess of the 43 arc-second per century”, this was explained in 20th century. This Mercury Planet is one of the brightest planet which can even viewed from Earth, ranging from 2.3 to 5.7 in the apparent magnitude , but some how it can not be easily seen as the greatest angular separation from the sun is only 28.3 degree. Planet Mercury normally use to lost in glare of the Sun, unless there’s solar eclipse this can be viewed from the Northern Hemisphere of our Earth only in the morning and evening twilight, while extreme or high elongation occurs in the declination south of celestial equator, this planet can be seen at the favorable apparition from the moderate latitudes in Southern Hemisphere in the fully dark Sky from the earth. 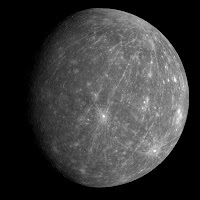 Planet Mercury is a similar in appearance to the Moon, this is heavily cratered with regions of the smooth plains and this planet is absence of the Natural satellite and no substantial atmosphere too. 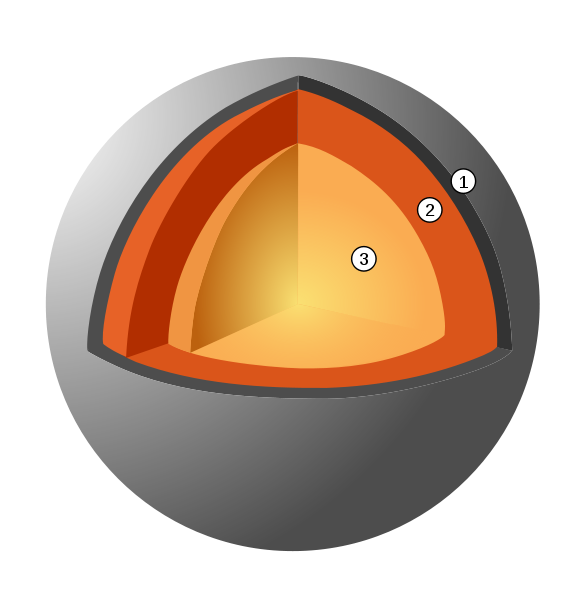 It contains large iron core which use to generate the magnetic field about the one percent (1%) stronger than the Earth. Mercury is one of the exceptionally dense planet because of the large relative size of its core. If we talk about the surface temperature than it has about the 90 to 700 K or (-183 degree Celsius to 427 degree Celsius) with the sub-solar point being hottest and bottom of the crater near the poles being the coldest. The recorded observations of the Planet Mercury date back to at least first millennium BC (Before Christ). According to the record found; before the 4th century the Greek astronomers believed that the planet to be two separate objects, one of it is visible only at the time of sunrise and which they used to called Apollo and the another was visible during the sun set & which they called as Hermes. The English name for the Planet Mercury came from the Romans who named after the Roman God Mercury which they equated with Greek Hermes. Astronomical symbol for the Planet Mercury is stylized version of the Hermes' caduceus. The Mercury planet is consider as one of the four terrestrial planets in our solar system which is a rocky body like our planet earth. Mercury planet is one of the smallest planet in our solar system which have an equatorial radius of 2439.7 kilometer. The Planet Mercury is smaller than largest natural satellite in the solar system, Ganymede & Titan. It has nearly about 70 percent of metallic & 30 percentage of silicate materials. In our solar system mercury planet has the second highest density at 5.427 g/cm3 which is bit less than our Earth’s density of 5.515g/cm3. The planet mercury is made would be denser if the effects of gravitational compression were to be factored with the uncompressed density of 5.3g/cm3 versus the our planet Earth’s 4.4g/cm3. The density of the mercury also can be used to infer the details of it’s inner part structures; while our t he high density of earth result appreciably from the gravitational compressions, especially at core. 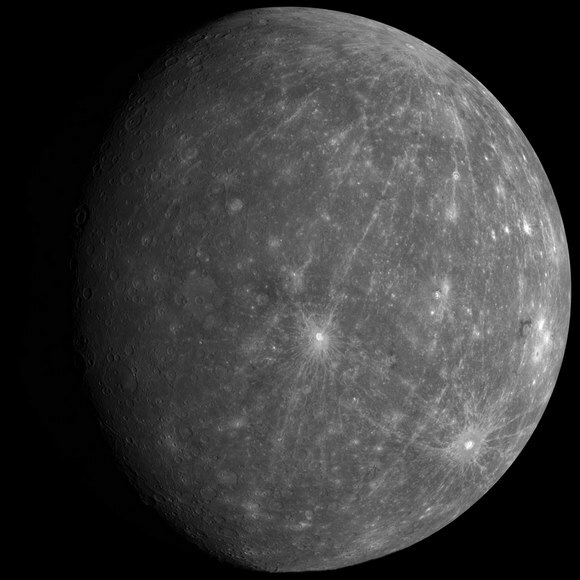 As the planet Mercury is very small and it’s inner regions aren’t as strongly compressed. Therefor it has such high density; it’s core must be large & rich in the iron. According to the Geologists estimation core of mercury occupies only about 42 percent of it’s volume. According to the recent research it has found that the planet mercury has the molten core which surrounds the core about 500 to 700 kilometer mantle which consist of the silicates. 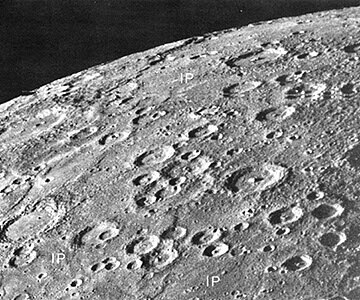 According to the data of Mariner 10 Mission and the Earth based observations the crust of planet mercury is believed to be about 100 to 300km thick. One of the different or distinctive feature of the planet mercury is it’s surface is presence of the numerous narrow ridges which extend unto several hundred km in length. It is also believed that these were formed from the core the planet mercury and the mantle cooled & the contracted at the time when the crust has already solidified. The core of planet mercury has the highest iron content than that of any other planet in our solar system together with there were also different theories proposed to explain this. The Mercury planet is originally has the metal silicate ration which is similar to the common chondrite meteorites and this is one of the most widely accepted theory. According to the early history of our solar system the planet mercury may have been struck by the planetesimals of the approximately 1/6 which mass & the several hundreds of kilometer across. This impact would have stripped away much of original crust & the mantle; leaving the core behind as relatively major components. The same kind or similar process called the giant impact hypothesis, has been proposed to explain formations of the Earth’s Moon. Before the energy of sun output had stabilized the planet mercury may have formed from solar nebula. Planet would have initially had double than its present mass, but as protosun contracted, the temperatures near the Planet Mercury could have been between the 2500 and 3500 K & possibly even as highest as 10000K. The rocks of the planet could have been vaporized at such a temperature forming the atmosphere of “Rock Vapor” and which could have been carried out away by Solar Wind. According to the third hypothesis proposed that Solar Nebula caused the Drag on particles from which the planet Mercury was accreting which means that the lighter particles were lost from accreting the materials. Every Hypothesis predict the different surface compositions & the two upcoming spaces missions i.e Messenger and BepiColombo; both of mission aims to make the observations to test them. If we see the surface structure of mercury planet than it is overall similar in the appearance to that of Earth’s Moon which shows the extensive mare like plains and the heavy cratering, this structure indicate that this is geologically inactive for the billions of the years. The geology structure of the planet Mercury is based on since 1975 Mariner flyby & terrestrial observations. This is the least understood of terrestrial planets. As the data from recent Messenger flyby is processed this knowledge will increase. For example: an unusual crater with the radiating troughs has been discovered which scientist named as “The Spider”. Later received name Apollodorus. The planet Mercury was heavily bombarded by the asteroids and the comets during & shortly following its formation 4.6 billion years ago. As well as during the possibly separate subsequent episode known as Late Heavy Bombardment which came to end 3.8 billion years ago. During this time of intense crater formations the planet mercury received impact entire the surface. During this time the planet was volcanically active. 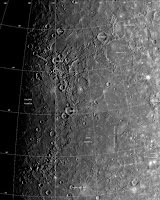 The basins like as Caloris Basin were filled by the magma within the planet which produced the smooth plains which is similar to maria which was found on the moon.Mercury have Dorsa (which is also called as wrinkle ridges), Moon like highlands, Mountains (Montes), Plains or Planitiae, Escarpments (Rupes) and the Valleys (Valles). According to the data from the flyby of Messenger on October 2008 sent the greater appreciation for jumbled nature of the surface of the Mercury Planet. If we see the surface of the Mercury planet than it is more heterogeneous than either of the Mars Planet or of the Moon, both of which have significant stretches of the similar geology like as of Maria and Plateaus. 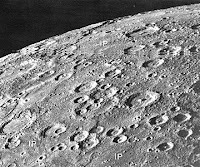 If we see the craters structures on Mercury Planet than its ranges start from small bowl shaped cavities to the muti ringed impact basins hundred of kilometer across. This appears in all state of degradation which is from relatively fresh rayed crater to the highly degraded crater remnants too. The crater of Mercury Planet differs from the lunar craters in which the areas blanketed by theirs ejecta are much smaller and the result of the stronger surface gravity of mercury planet. 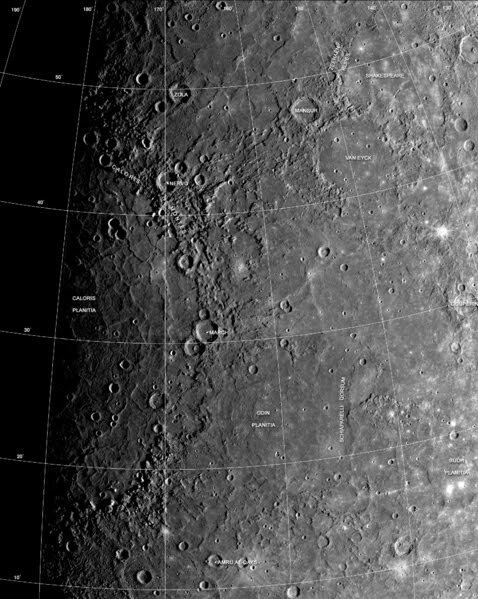 The largest crater found in mercury planet is Caloris Basin which had the diameter of 1550 km. The impact of this crater was such a powerful which caused the lava eruptions & left the concentric ring over 2 kilometer tall surrounding the impact crater. The antipode of Caloris Basin is the large region of the unusual, hilly terrain which is also known as the “Weird Terrain”. One of the hypotheses for its origin is that shock waves generated during the impact of Caloris traveled around the planet; converging at antipode basin (180 degree away). Due to the high tresses it fractured the surface. Alternatively this has been suggested that the terrain formed as the result of convergence of the ejecta at this antipode basin. 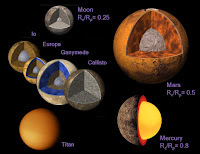 About the 15 impact basins were identified on the mercury planet. 400 kilometer is a wide notable basin and the multi-ring Tolstoj basin has ejecta blanet extending upto 500 kilometer from the rim and the floor which has been filled by the smooth plains materials. Another basin is Beethoven Basin which has similar sized ejecta blanket and 625 kilometer diameter rim. As the moon of earth the surface of the planet mercury has likely incurred the effects of space weathering the processes, including the solar wind and the micrometeorite impact. Generally there has been found that there are mainly two geologically distinct plains regions on the Planet Mercury. Gently rolling, hilly plains in regions between the craters are oldest surface of Mercury planet, predicting the heavily cratered terrain. It is also found that the inter crater plains appears to have the obliterated many earlier craters & also show that show general paucity of the smaller craters below about 30 kilometer in diameter. But this is not clear that whether this is volcanic or impact origin. Into the entire surface of the planet inter crater plains are distributed roughly uniformly. If we see the smooth plain than this is widespread flat areas which fill depressions of the various sizes & have strong resemblance to lunar maria. And one notably thing is they fill the wide ring surrounding Caloris Basin. Smooth plains of the Planet Mercury have same albedo as the older inter crater plains; unlike the lunar maria. Despite the lack of unequivocally volcanic characteristics, localization & the rounded, lobate shapes of these plains strongly support volcanic origins. 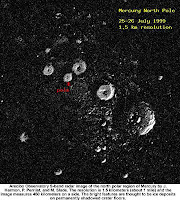 It is also found that Mercurian smooth plain formed significantly later than the Caloris Basin; according to the proof or evidence by appreciably smaller crater densities than on Caloris ejecta blanket. Floor of Caloris Basin is filled by the geologically distinct flat plains, broken up by the ridges & the fractures in roughly polygonal pattern. But it’s not clear that whether they are volcanic lavas originated by the impact or the large sheet of impact melts. But one of the different features or the unusual features of the Mercury Planet is surface is numerous compression folds which the crisscross plains. As the internal part of planet get cooled than it may have contracted & its surface started to deform, creating these features. Folds can be viewed on the top of the other features like as the craters and the smoother plains, indicating that folds are more recent. Surface of the mercury planet is flexed by the significant tidal bulges raised by Sun. the tides of the Sun on the mercury planet are about 17 times stronger than the tides of Moon on the Earth. If we see the mean surface temperature of the Mercury Planet than it is about 442.5 K but this ranges from 100 K to 700k due to the lack of or the absence of atmosphere & the steep temperature gradient between the equator & the poles. On the subsolar point it reaches to nearly about 700 K at the time of perihelion and than get drop down to 550 k at aphelion. 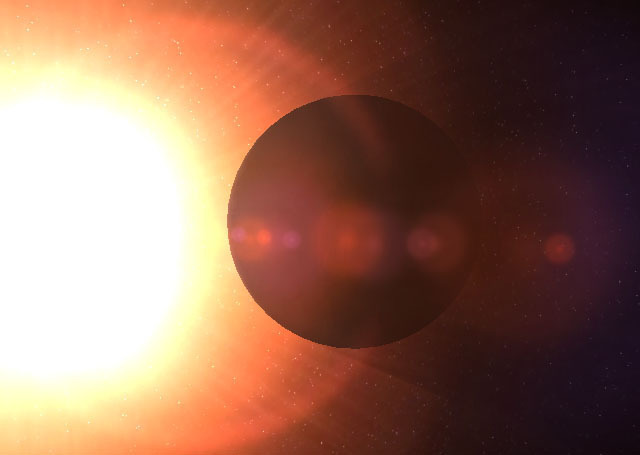 The average temperature of dark side is about 110 K. On the surface of the mercury planet the intensity of the sunlight ranges in between 4.59 and 10.61 times the solar constant which is about 1,370 W m-2 . One of the most exciting things on the mercury planet is although the temperature on the surface of mercury planet at the daylight is extremely high, the observations strongly suggest that the ice exists on the Mercury Planet. As the floor of the deep craters at the poles never face or exposed to the direct sunlight therefore the temperature remains below 102 K which is very far lower than global average. The water ice strongly reflects the radar & the observations by 70 m Goldstone telescope & VVLA in the early year 1990s revealed that there’re patches of high radar reflections near the poles. The astronomers also believe that ice isn’t only a possible cause of these reflective regions but most likely. It is also found or believed that the icy regions contain about 1014 to 1015 kg of ice and which is may be covered with the layer of regolith which inhibits sublimations. If we do the comparison than the ice sheet of Antarctic on the Earth has mass about 4 x 1018 kg, south polar caps of Mars planet contain about 1016kg of water. But the origin of the ice on Mercury Planet is not yet known but two most likely sources are from the outgassing of the water from planet’s interior or the deposition by the impacts of the comets. Mercury planet is too small than other planet and hot for it’s gravity to retain any kind of significant atmosphere over long periods of time but however the planet have tenuous surface bounded exosphere which contains Oxygen, Hydrogen, Sodium, Helium, Calcium, Potassium and many others. If see the exosphere of the planet than it is not stable, atoms are continuously lost & the replenished from the variety of the sources. The atom of Helium and Hydrogen probably come from the diffusing and the solar wind into the Magnetosphere of Mercury planet before later escaping back into the space. The Radioactive decay of element within the crust of the Mercury planet is another source of the Helium similarly for the sodium and the potassium. According to the MESSENGER it found that the proportions of the helium, Oxygen, calcium, silicon, calcium, magnesium, Potassium and the sodium. The water vapor is present released by the combination of the processes like as the comet striking it’s surface, sputtering creating the water out of the hydrogen from the solar wind and the oxygen from the rocks & the sublimation from reservoirs of water ice in permanently shadowed polar craters. Detections of the high amount of ions related to water such H2O, OH- and O- was a surprise. Due to the quantities of such ions which were detected in the space environment of the Mercury planet, the scientists surmise that these molecules were blasted from the surface or the exosphere by the solar wind. During 1980 to 1990 the Calcium, Potassium and the Sodium were discovered & also believed that result primarily from vaporization of the surface rock struck by the Micrometeorite impacts. In 2008 the MESSENGER probe discovered Magnesium. The study also indicates that at the times , sodium emissions are localized at the points which corresponds to the magnetic pole of the planet. This would indicate an interaction between the surface of the planet and the magnetosphere. Though the size of Mercury planet is small than other planet in our solar system and slow rotation of 59 days long; the planet has 1.1% stronger magnetic field than our Earth. This measurement was taken by Mariner 10. According to the measurement taken by Mariner 10, planet has magnetic field strength of about 300nT at the equator. It has dipolar magnetic field like that of our Earth but has nearly aligned poles with the spin axis of planet. According to the research made by Mariner 10 and MESSENGER space probes it shows that the planet has stable magnetic field as well as strength and shapes. The magnetic field present at mercury planet is enough to deflect the solar wind around the planet which creates magnetosphere. Not only this as compare with the Earth it is small but has strong ability to trap solar wind plasma which contributes to the space weathering of surface of the planet. These events were taken by Mariner 10 spacecraft observation as well as the spacecraft also became able to observe low energy plasma in the magnetosphere at the night side of planet, detected bursts of energetic particles in the magnetotail of planet, these activities shows that the mercury planet has dynamic quality in magnetosphere. On October 6, 2008, second flyby of MESSENGER discovered that the magnetic field of the planet can be extremely leaky. During the time the spacecraft was encounter with the magnetic tornadoes too which twisted bundles of magnetic fields connecting the planetary magnetic field to interplanetary space which were up to 800 kilometer wide or we can say third of the radius of the mercury planet. These types of tornadoes use to create when the magnetic field carried by the solar wind gets connected to magnetic field of the planet. As the solar wind blows past field of mercury, these joined magnetic fields are carried with it & twist up into vortex like structures. These twisted magnetic flux tubes is called flux transfer events. Linking interplanetary & planetary magnetic fields process is called magnetic reconnection which is common in all over the cosmos. These activities also occur in the magnetic field of Earth, where it generates magnetic tornadoes as well. 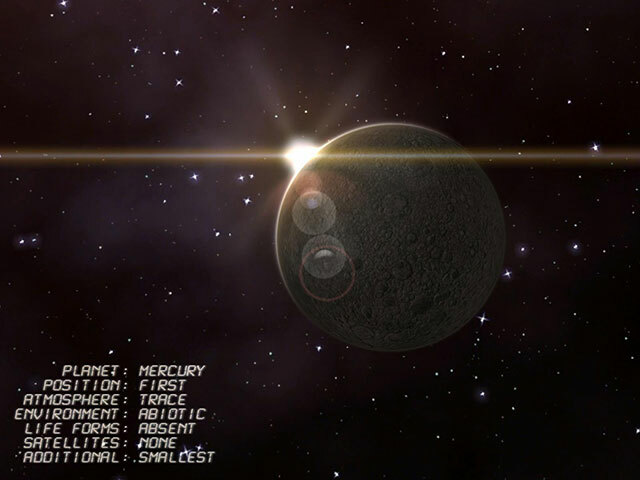 According to the observations made by MESSENGER show the reconnection rate is 10 times higher at the Mercury planet. 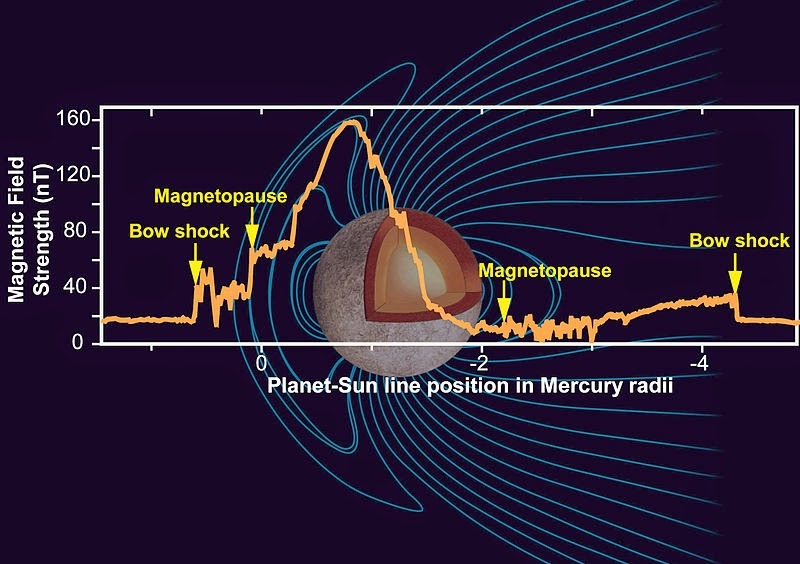 Proximity of Mercury planet to the Sun only accounts for about the third of reconnection rate which was observe by spacecraft MESSENGER.